A lovely way to learn about cycles in nature and their sequences while applying some logic and strategy! 25 cards depict 5 cycles in nature. The cards are shuffled and dealt. Each player plays one card at a time but always so that it starts or continues a sequence. The first player to get rid of all their cards wins! 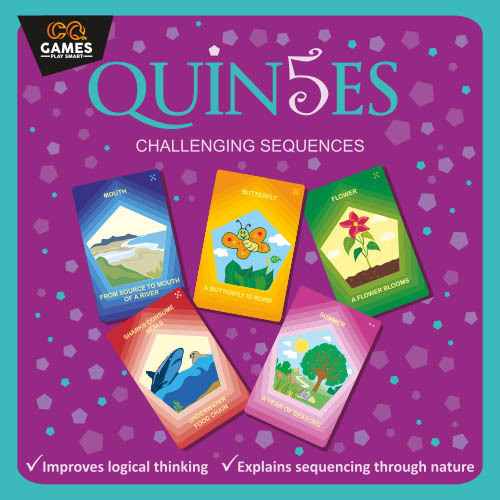 CYCLES IN NATURE SEQUENCING LOGIC & STRATEGY LEARN HOW TO PLAY → .PDF Instructions BUY NOW!